As a parent, there are a number of questions that fly through our minds every day? Did my child get enough to eat? Are they sleeping well? Is he doing okay in school? Is she making friends? Our brains are in a constant state of motion as we question the best interests and child rearing techniques. If your child is active with activities or sports, one question you may ask is ‘Does my child need a mouthguard?’ Mouthguards are used for a variety of reasons and our London, KY dentist can help put your mind at ease. When should my kid wear a mouthguard? They participate in a contact or impact sport. Boxing, football, soccer, basketball, baseball, softball, lacrosse and other fast moving sports frequently see collisions between players. A mouthguard needs to be considered a required part of the uniform in these cases. He or she skates, skateboards, or uses in-line skates. High speeds can lead to some cringe-worthy falls. A mouthguard protects your child’s teeth and mouth from injury. They grind their teeth or clench their jaw during exercise or activities. Biking, running, and other sports may cause a person to clench their jaw. The tension this creates can lead to extra wear and tear on the joints and bones that will cause issues down the road. What type of mouthguard should I get? Most mouthguards fall into 3 categories. Talk with your London, KY dentist to determine which one is best for you or your child. We will discuss the store-bought options as well as a custom-fit option. Store-purchased mouthguards come as a one-size-fits-all and simply provide cushion and protection to the wearer’s mouth and teeth. A boil-and-bite option is another possibility. 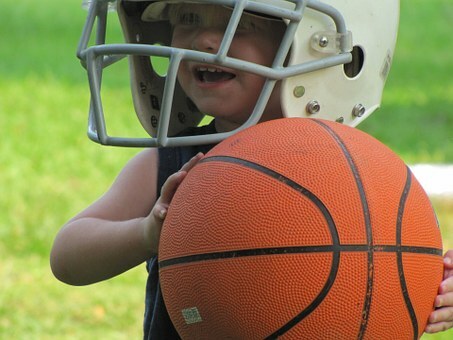 These are widely used among children in youth sports. They are inexpensive and easy to form fit to one’s mouth. After a quick softening of the material in boiling water, the wearer bites down on the mouthguard to fit it to their teeth. A custom-fit mouthguard made by London, KY dentist Dr. Cynthia is the optimal choice for young adults and older whose teeth are not expected to change. These mouthguards allow for the best protection no matter what the activity. Why Does My Child Need a Mouthguard? A mouthguard works to protect the oral cavity in the event of a crash, collision, bump, or hit. Forceful impacts can break teeth or cause a person to bite down on their tongue or cheek. The extra cushion eases the stress on their oral joints and has been recently proven to reduce the severity of concussions. Our staff and London, KY dentist are happy to put your mind at ease in respect to any pediatric dentistry concerns. Give us call or follow us on Facebook for ways to improve your children’s oral health and to keep them safe.